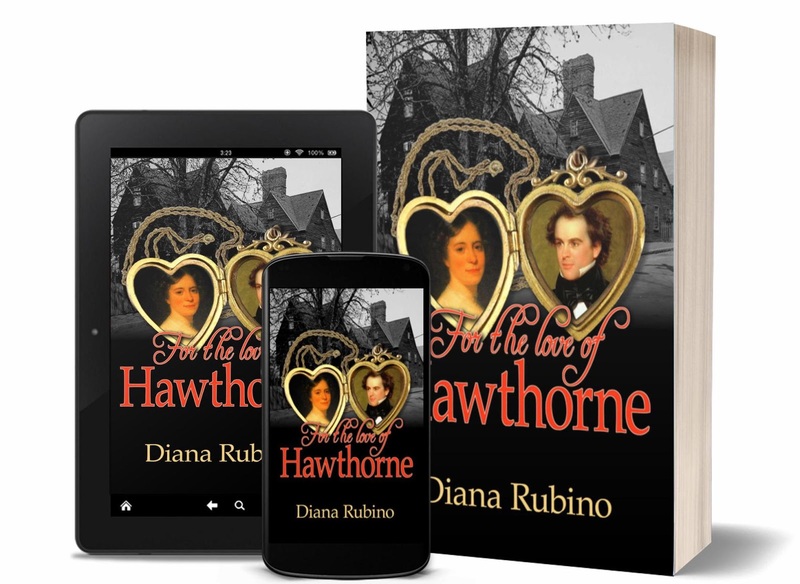 We all read Hawthorne's stories and books THE SCARLET LETTER and THE HOUSE OF THE SEVEN GABLES in school, but did you learn what made the handsome brooding genius tick, and what haunted him? I joined myself to him heart and spirit, but he still remained enclosed in his shell. It softened, yet I couldn’t hasten its shattering. He turned down invites from our friends—rather, my friends—Margaret Fuller, my revered Ralph Waldo, Elizabeth Hoar who’d filled the Manse with those fragrant bouquets, so I invited them to the Manse instead. 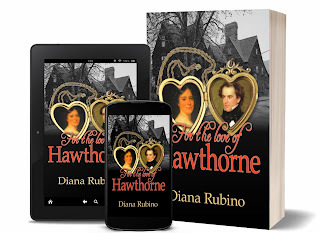 When my friends Anna Chase and Sarah Shaw called, Nathaniel emerged from his study, said hello, and retreated back inside. He referred to our constant stream of visitors as “persons who venture within our sacred precincts and who have intruded into the hallowed shade.” This happened constantly, not only when he was in the throes of writing. He veiled himself from others, since he veiled himself from himself, a divine mystery, so to himself. If he’d imbibed any more Port, he’d have forgotten his courteous manners. Did his seclusion bother me? Of course, being his polar opposite. But such was his nature, and I did not attempt to change him. His being gregarious as I would pose a bigger problem. Better that only one of us be overly sociable. Otherwise we’d hardly see each other.